It’s always very exciting when something new opens in Charlottetown. 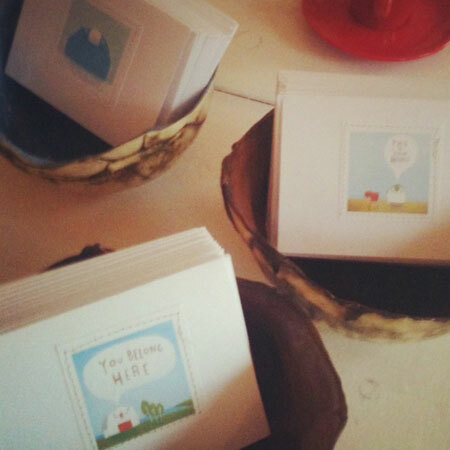 It’s even more exciting (for me) when they want to have my things in their shop. The Young family (Adam, Rebekha and their 3 lovely boys) recently moved to Charlottetown and is opening up Young Folk and the Kettle Black. It’s a coffee shop/store. I actually went to high school with Rebekha in Ottawa, many years ago. It was so nice to see her again. She and Adam fell in love with PEI after visiting, (it’s hard not to) and decided to move here last year. Last weekend, with my sick Ila in tow (I didn’t know it was hand, foot and mouth at the time! 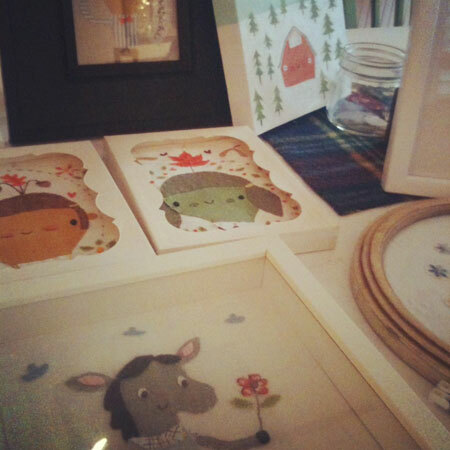 ), I dropped off a bunch of paintings, fabric pieces and cards for the store. yes, the coffee… let me tell you about the coffee! It is the best coffee I’ve had on PEI. I almost cried when I tasted it. I’ve been wanting to go back and have another ever since, but have been stuck at home with a contagious child. Soon. They are such kind and lovely people and it’s a wonderful little space, just what this little town needs. I’ll have to check it out this week sometime… I know that Samuels in Summerside does a really decent job though. I assure you it wasn’t weak…I think I just washed out the photo in instagram. I’ll have to give Samuels a visit next time i’m in Summerside! Not sure when they are opening, the paper is still in the windows this weekend. Should be sometime next week. Samuels is great! They use Java Blend out of Halifax – probably one of the best roasters in the Maritimes. Definitely worth checking out. I was impressed. 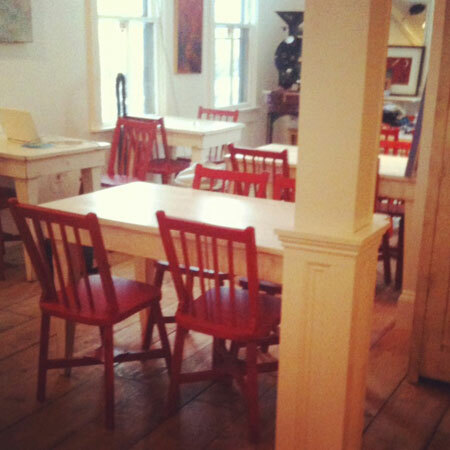 Now if you want the best coffee in the Maritimes… you MUST check out Two if By Sea in Halifax. Your work looks lovely by the way! Happy Islander Day! I’ve been to the Young Folk & Kettle Black a few times in the last 2 weeks. Had a great experience every time. The coffee, sandwiches and deserts (almost too pretty to eat) were delicious. The service is friendly, the atmosphere is calm and welcoming. They have a craft shop upstairs that sells an interesting variety of groovy items not found anywhere else on the Island. 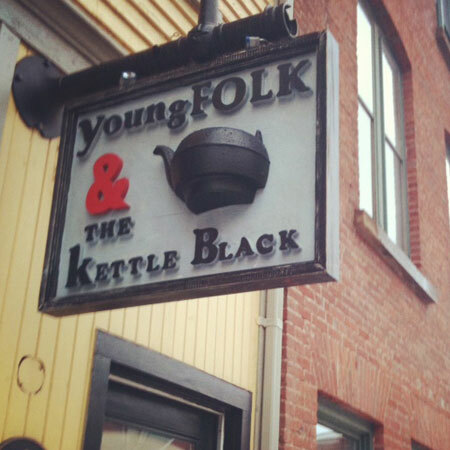 Young Folk is a great addition to the growing Water St. “indie” businesses. Welcome to the neighbourhood!